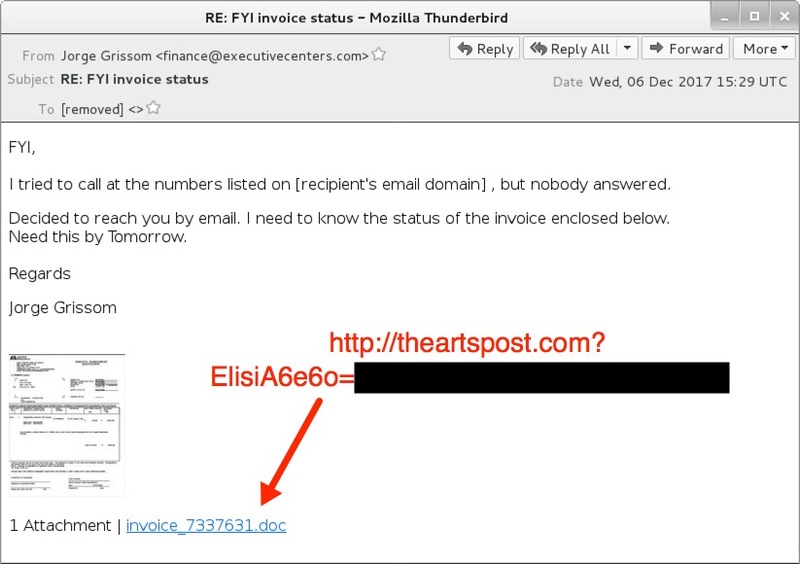 Yesterday, post-infection malware from Hancitor malspam included Zeus Panda Banker. Today, it included IcedID banking Trojan. 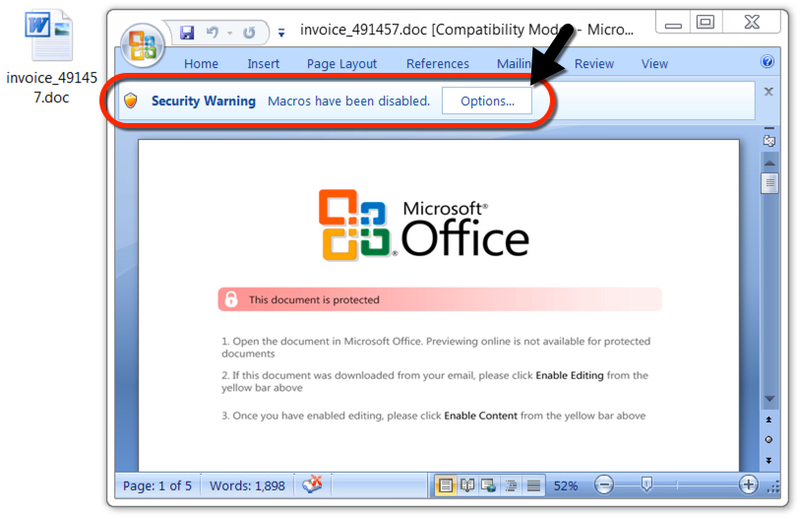 Of course, there's still Pony and Evil Pony (both fileless) being downloaded by Hancitor from the Word document macro. I previously documented IcedID from Hancitor malspam on 2017-11-21. There's another file similar to IcedID involved (same file icon), but I don't think it's a downloader this time. Not sure what the encoding is for the string that represents the recipient's email address in links from the malspam. It's not a Base64 string like we've seen before. Thanks to @James_inthe_box and @Techhelplistcom who published additional indicators that I've included in this report. Shown above: Some alerts from Sguil in Security Onion using Suricata and the EmergingThreats Pro ruleset. 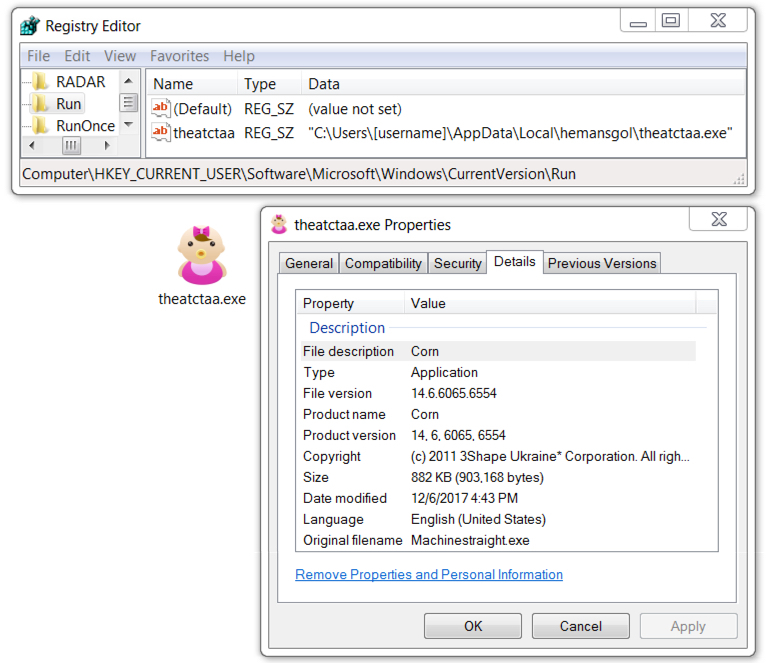 Shown above: IceID banking Trojan persistent on the infected Windows host.